Address: Jalan Hang Kasturi, Chinatown, Kuala Lumpur, Malaysia. 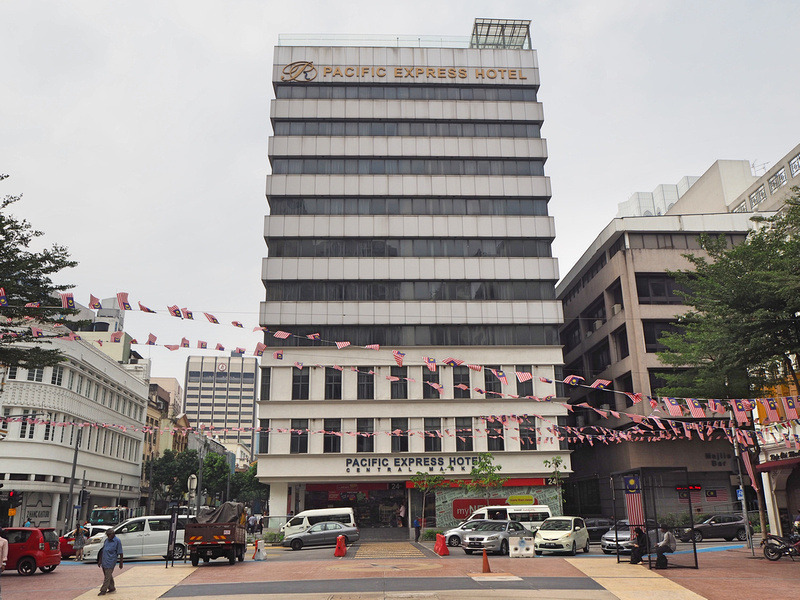 I stayed at the Pacific Express Hotel Central Market in Kuala Lumpur. I booked it for its location in the Central Market/Old Town area of KL, which is one of my recommended areas to stay in Kuala Lumpur. The online rate was $30.37 USD, plus there is the 10 MYR ($2.40 USD) per night government hotel tax which you pay on arrival. The Pacific Express Hotel is a 4-star hotel in a converted office tower in the historic old town area. 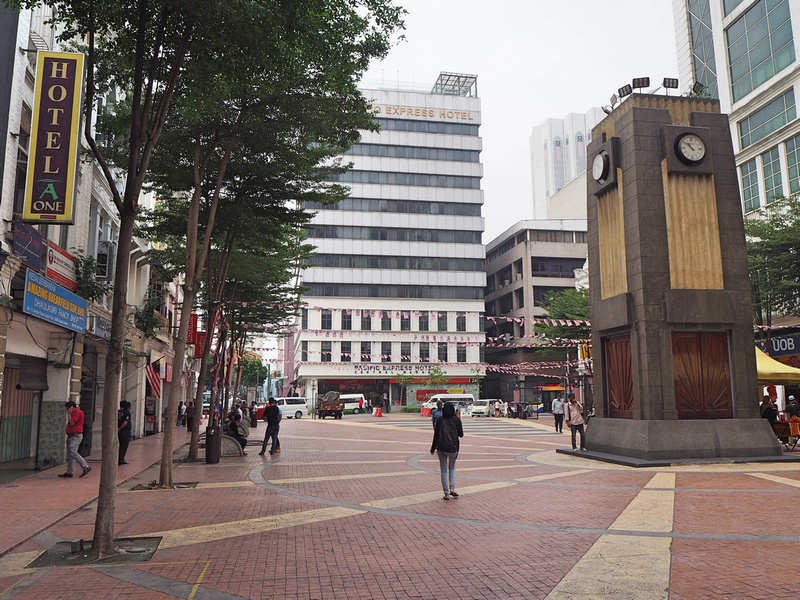 There is also a Pacific Express Hotel Chinatown nearby, which is in a converted mall opposite Petaling Street Market (but not related to the Mandarin Pacific Hotel). With these two hotels, Pacific Express have become part of the old town rejuvenation story that is taking place. I’ve been coming to KL every year since 2006, and ever since then I’ve always wondered why the old town area was so neglected. 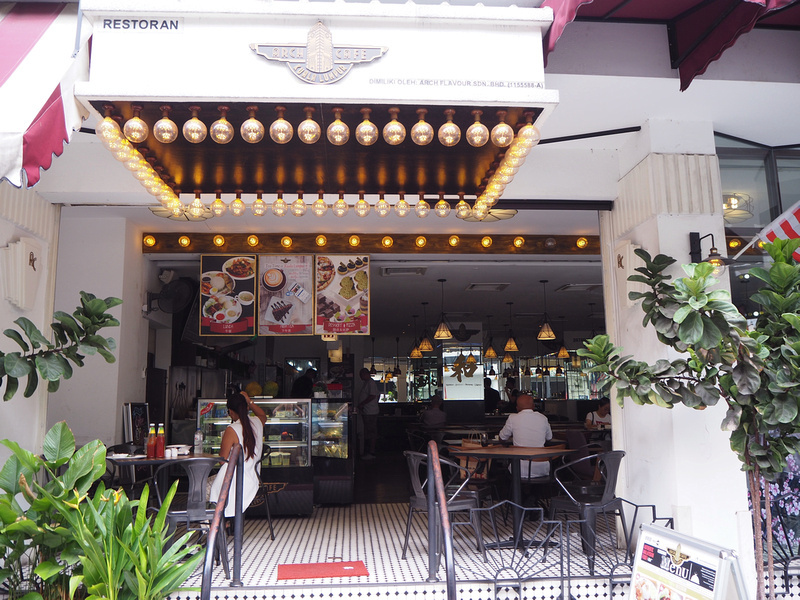 It has an amazing collection of old shophouses and historic buildings that rivals the best of Singapore. The area has always been a bit run-down, but in recent years its waking up to its potential, and I think this area is going to look great in the future. I booked a double room for my stay, but as I arrived early they asked if I would like an available twin room instead rather than waiting. I liked that they made the offer, and I wasn’t fussed about the bed type so I took it. My room was without a window, which was noted when I made a booking. I am ok with this if the room is big enough. The problem with the room though was the lighting, in that there wasn’t enough lighting. Usually hotels have the problem of having too many lights along with confusing light switches. Here I only had some small ceiling lights and a desk lamp. Even with all the lights on the room was gloomy, and I found it hard to read in bed (and I have good eyesight). There were no bedside lights either, so with no windows I had to turn the lights off at the door and then feel my way to the bed in the dark. For these photos I have edited the lighting otherwise the photo would have been too dark to see. The bed itself was confortable, and I liked the little couch next to the bed. There was also a power outlet near the bed. 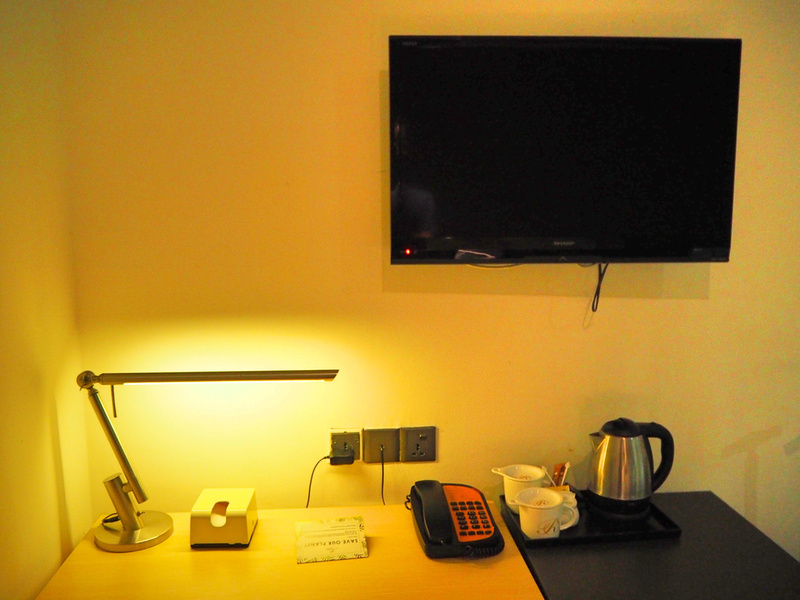 A good work desk with useful power outlets, and the other source of light in the room. 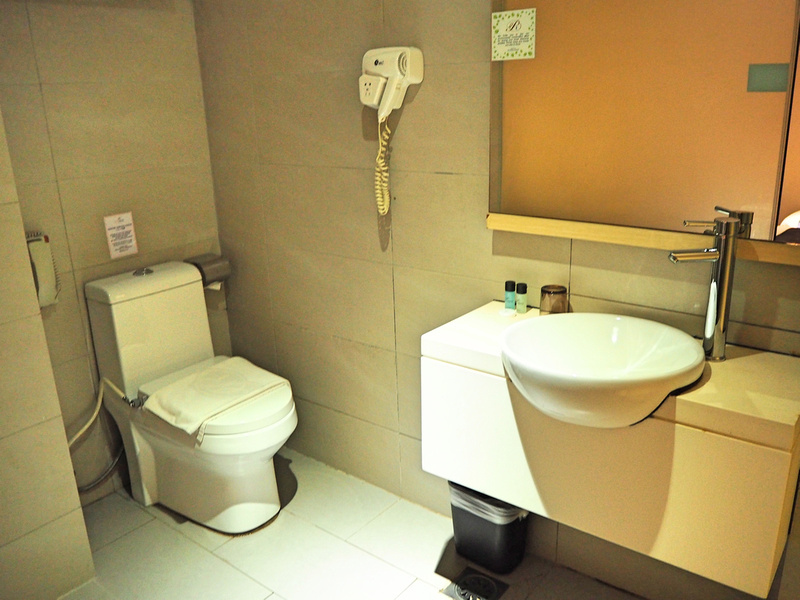 The bathroom was clean and spacious, and it had a separate walk-in shower area. The bathroom wall was opaque glass, so at least it wasn’t one of those clear glass bathrooms where your travel mate can see what you are doing. The bathroom had the same problem as the bedroom in that there was only one light, and it wasn’t very bright. 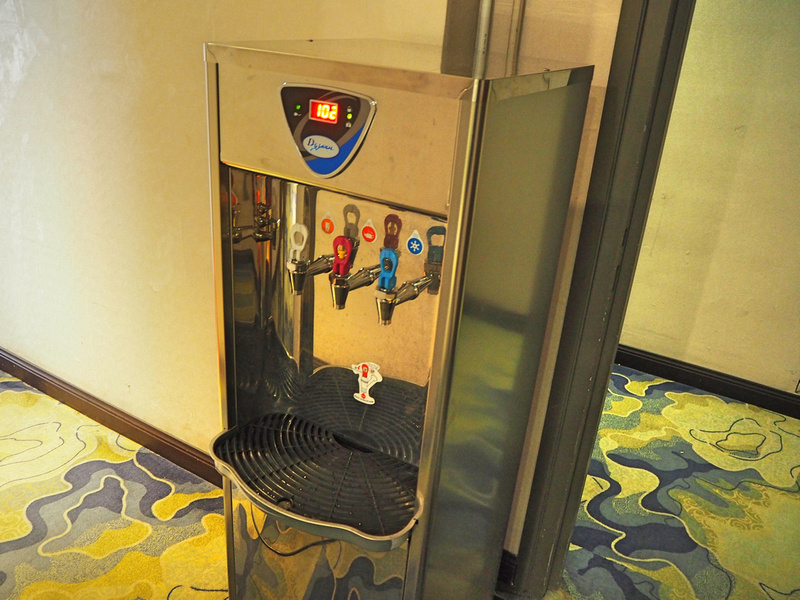 Instead of providing bottles of water, there are water units on each floor. This is a good idea when you consider how many bottles of water a hotel must go through every day. Just remember to bring your water bottle. 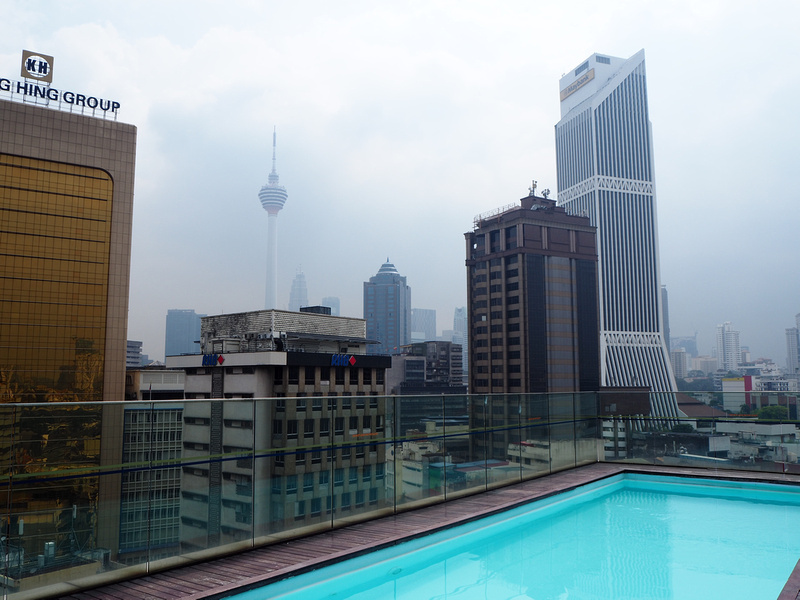 There is a pool on the top floor, providing a view of some of the most iconic buildings in Kuala Lumpur. There is also a fitness centre on the top floor. Free wifi is available throughout the hotel, and I had no problem with the connection. I was able to make a Skype call during my stay and it all went well. 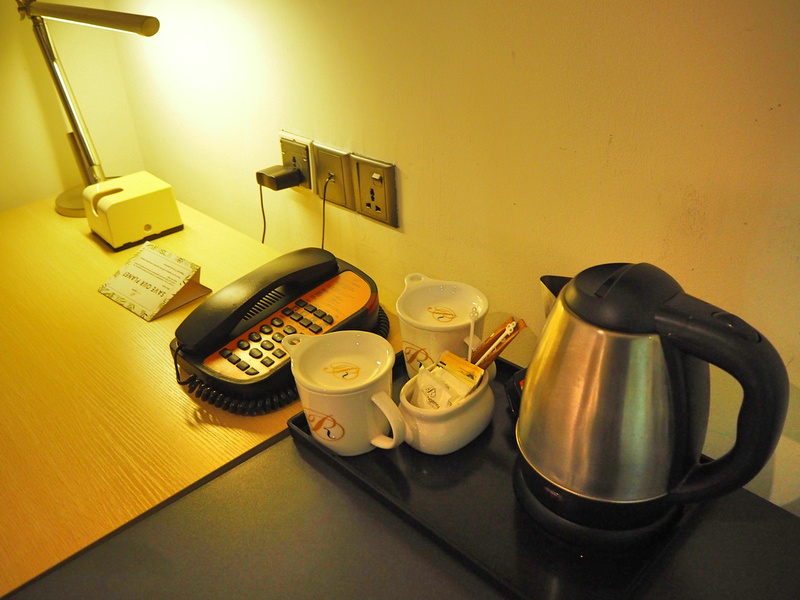 There is a breakfast service available, depending on your booking type. The breakfast is served in the Arch Cafe, which is attached to the hotel via the lobby. I went to one of the many Indian restaurants nearby for a roti breakfast. I’ve mentioned how the surrounding area is being regenerated, and in front of the hotel is the Old Market Square. One of the newest regeneration projects is the River of Life. This is a walkway along the riverfront where the two rivers converge in front of the historic mosque. 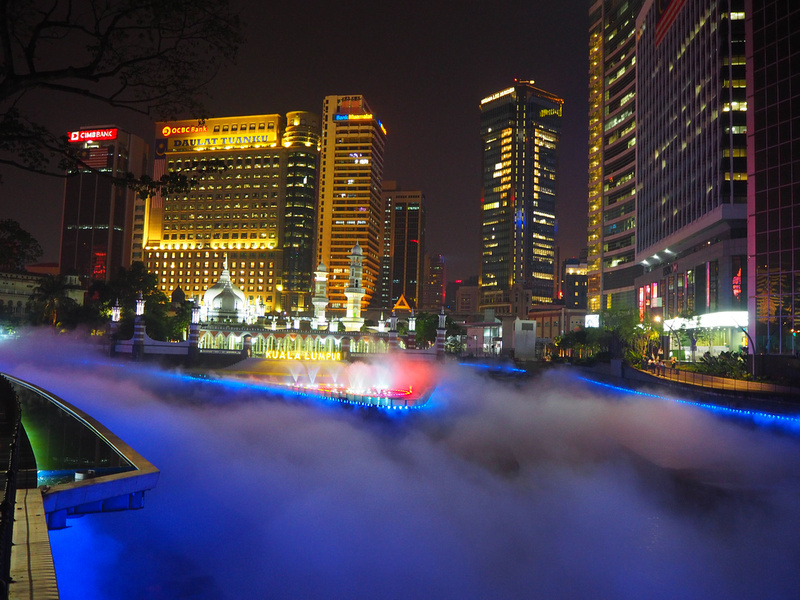 At night there is a light show, and smoke machines add a bit of atmosphere to the scene. As the name would suggest, the hotel is also near the Central Market, which has a good food court and is ideal for souvenir shopping. Overall this was a good hotel but the rooms without a window need to get better lights. It was far too gloomy and it needs to be fixed. If I had the same room with a window it would have been a good stay. 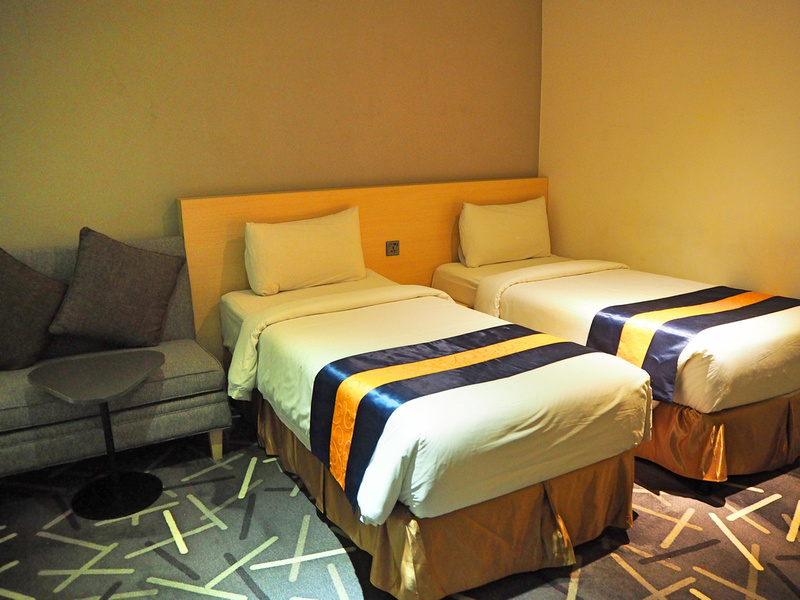 Book the Pacific Express Hotel Central Market online or search for more hotels in Kuala Lumpur.